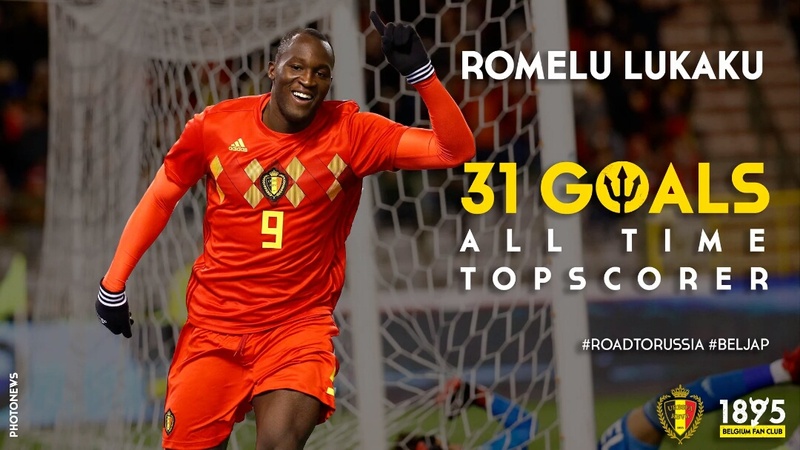 Romelu Lukaku added to his double against Mexico to secure a win over Japan and become Belgium's all-time record . 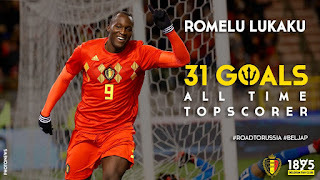 Romelu Lukaku became Belgium's outright record scorer with the only goal in an uninspired 1-0 friendly win over Japan in Bruges. The Manchester United striker had pulled level with Bernard Voorhoof and Paul Van Himst on 30 goals after his double in Friday's pulsating 3-3 draw with Mexico. And he took his tally to 31 with 18 minutes remaining against Japan on Tuesday, heading in from almost on the line after a superb run and cross from Nacer Chadli. Before his historic goal, it had been a frustrating night for the 24-year-old, who was comfortably shackled by a stubborn Japan defence. Belgium boss Roberto Martinez will be pleased with his side's improved defensive display, but is likely to be concerned by the struggles of his star-studded attack against a side that had conceded six goals in their last two games against Haiti and BrazilBelgium carved out the first sight of goal and unsurprisingly it fell to Kevin De Bruyne, who has been in sparkling form for Manchester City this season. The midfielder carried the ball fully 40 yards into the Japan penalty area, but his low effort was straight at Eiji Kawashima. Lukaku was then denied by the Japan goalkeeper, who got down well to smother his close-range effort after Thorgan Hazard's cross had been deflected into his path. The hosts continued to look menacing going forward and De Bruyne was once again denied by Kawashima, this time the goalkeeper pushing away the 26-year-old's typically measured effort from the edge of the area. Japan struggled to impose themselves in the early stages, but could have taken the lead twice before the break as Yuya Osako and Maya Yoshida both headed narrowly over Simon Mignolet's crossbar from good positions. The visitors appeared to come out for the second half with renewed vigour as Kazuki Nagasawa drilled a shot just over from outside the area. There are often turning points, single moments in a match, when fans look back and think ‘that kickstarted his career’. 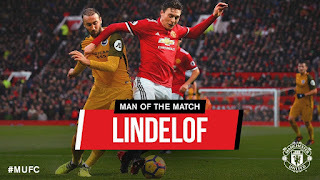 The Old Trafford faithful possibly witnessed that exact moment on Saturday when Victor Lindelof arrived – in more ways than one – with a crunching, but fair, challenge on Anthony Knockaert which seemed to help inspire the Reds to defeat Brighton. It was a close-run thing, but we can confirm four nominees for September's Player-of-the Month award at Manchester United. 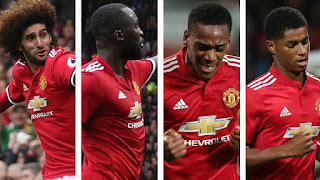 After a fabulous spell, it was too difficult to whittle the shortlist down to our usual three names so Marouane Fellaini, Romelu Lukaku, Anthony Martial and Marcus Rashford all make the cut. Phil Jones, Nemanja Matic and Henrikh Mkhitaryan also picked up votes. The big Belgian missed the only game where United have dropped points this term, at Stoke City, due to injury, but came off the bench to good effect by scoring in the Champions League opener with Basel. 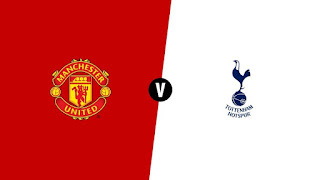 Setting the scene… For the first time in almost a month, United will be in action at Old Trafford this weekend for what is always an eagerly awaited fixture and especially since Spurs became bona fide title challengers. This battle between the second and third-placed teams, who have the same tally of 20 points after nine games, seems an apt way to open the Premier League weekend. Both sides, who had contrasting results in the Carabao Cup in midweek, know that three crucial points are at stake in a bid to put pressure on leaders Manchester City, so we could be in for a fascinating encounter. 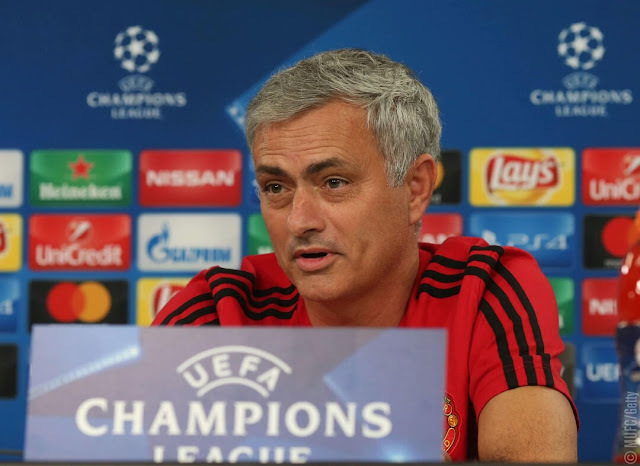 Jose Mourinho has told journalists he can play Anthony Martial and Marcus Rashford together, but the Manchester United manager naturally did not reveal his plans for the UEFA Champions League match against Benfica. 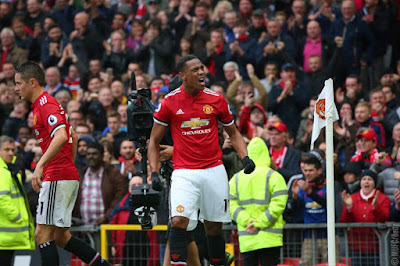 Martial and Rashford have almost been taking it in turns to start on the left flank throughout the season so far, scoring 13 goals between them and registering an impressive tally of assists. 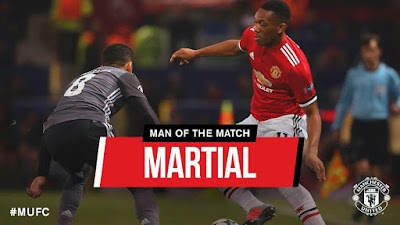 Anthony Martial claimed Manchester United’s Man of the Match award for the second successive game after another eye-catching performance against Benfica on Tuesday night. The Frenchman topped our poll on Twitter with 55 per cent of the votes, ahead of Nemanja Matic (35 per cent) and Daley Blind (10 per cent), after the trio were nominated by MUTV pundits Ron Atkinson and Lou Macari. Anthony Martial is “happy” to be contributing at Manchester United despite struggling for starts, says Eric Bailly.